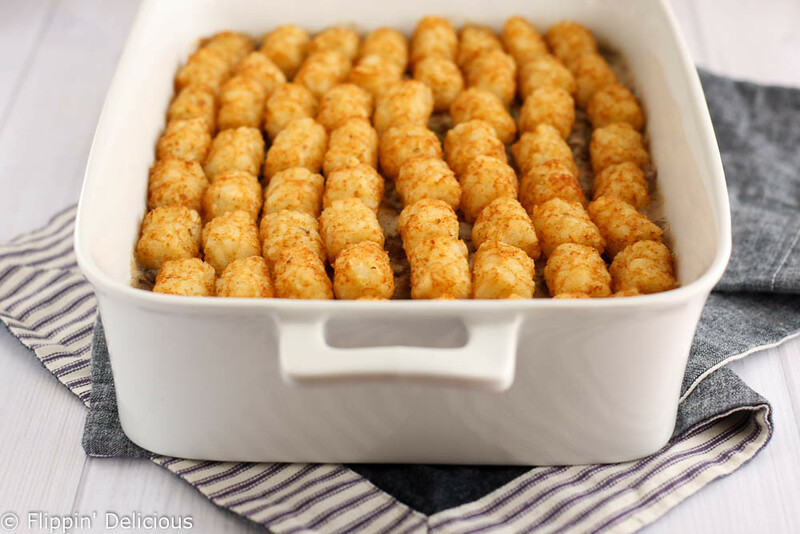 This gluten-free tater tot casserole is comfort food at its best! Easy, creamy filling filled topped with golden tater-tots. Ever since I developed my recipe for gluten free cream of chicken soup, I’ve been looking for easy dinner recipes to use it in. Like my gluten free creamy chicken casserole. Well, here is another classic recipe that is now easily made gluten-free: gluten free tater tot casserole. Maybe you had it as a kid, maybe you didn’t. Either way, you should definitely make it now. It is so easy to make! First make the gluten-free condensed cream soup (don’t worry, it only takes about 5 minutes to mix up on the stove), but add mushrooms! Ta-da, now you have gluten-free condensed cream of mushroom soup. Brown off a pound of ground beef (or ground turkey) with some chopped onion and then drain off all the extra fat. Mix in some green beans, and the cream of mushroom soup. Then all you have to do it pour it into your favorite casserole dish and top it with some frozen tater-tots. 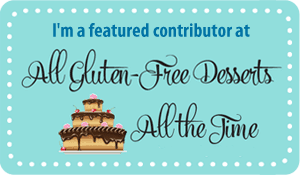 Not all tater-tots are gluten-free, so be sure to select some that are. If they are gluten-free they should be clearly labeled. All that is left is to bake your casserole until the tater-tots are nice and brown and the filling is all bubbly. 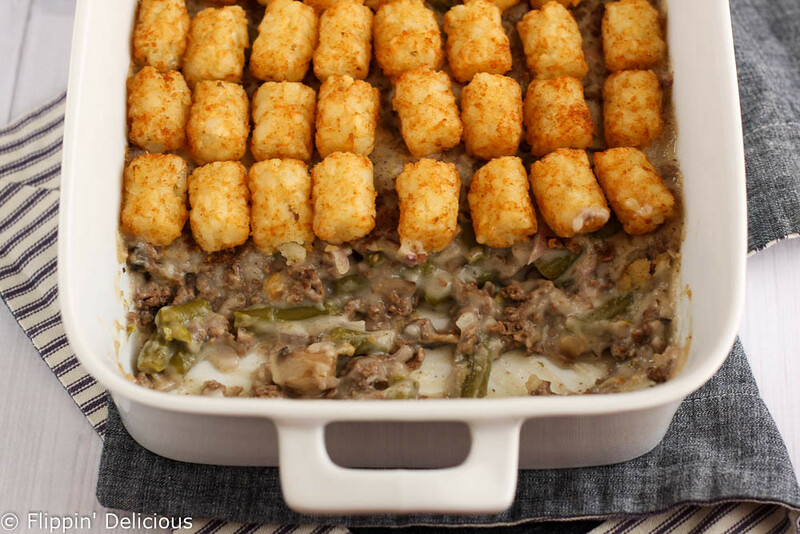 And there you have it, a super easy, filling, gluten-free tater-tot casserole recipe. Don’t be afraid to customize this recipe! Add some shredded cheese on top of the tater-tots, or add some sweet corn to the filling. Or skip the green beans. Or add some peas. 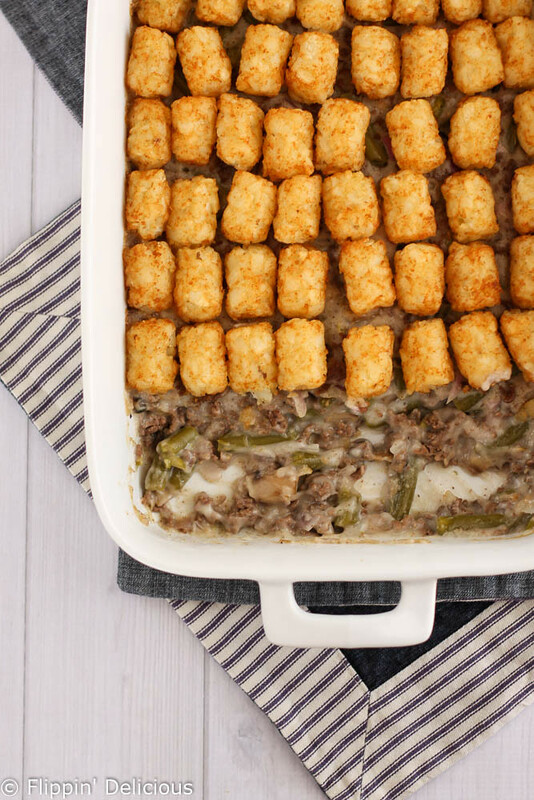 Tater-tot casserole is kind of like an easier version of the classic shepherd’s pie. Creamy, meaty, savory filling topped with some good ole potatoes. This is an instant favorite, right up there with my gluten-free enchiladas and one pan mac ‘n’ cheese. Nothing wrong with a nice healthy helping of comfort food! My kids will love this! Thank you for sharing! I hope that you all enjoy it! 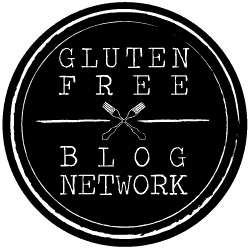 Okay, so I think I’m just going to go all over this site and pin everything to my Gluten Free board on Pinterest. 🙂 Thanks again for sharing this on #FoodandFitnessFriday! I often grab Ore Ida, just double check the ingredients because they can change. They were gluten-free when I bought them last.